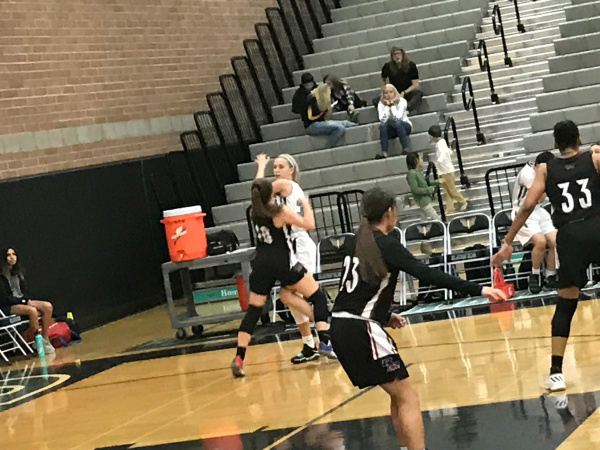 Girls hoops: Highland 3rd quarter stymies Red Mtn. It took Highland the better part of the first half Thursday night to get its bearings against visiting Red Mountain, but once the Lady Hawks did they proved the superior team. Three players scored in double figures and the leader of that trio went on an offensive rampage in the decisive thrid period as Highland posted a 53-43 victory in a 6A girls hoops matchup. Highland (9-3) trailed almost the the entire first quarter and about half of the second period before gradually building a lead it took to intermission. The Lady Hawks led 26-21 at halftime and by the time team-high scorer Mattie Lamb was finished in the third period the lead was 43-28 heading to the fourth. Lamb, a junior, scored nine of her 14 points in the third quarter connecting on 4-of-6 shots, including a three. "She can be a streaky player and she did some really good things that quarter," Highland coach Miner Webster said. "She's been botherer a little by a sore back, but she looked good out there." Webster also praised the defensive work of senior guard Tiffany Egbo, who at 5-foot-6 had the task of guarding Red Mountain's top scorer Amaya West. West, averaing 15 points a game, was limited to 10 in this one and just two in the second half. "She (West) can move for a big kid so we tried to match up with Tiffany who has the quickness to defend her. Tiffany and (post) Kamryn Brown made it tough her her to score." Brown and point guard Fama Thiam were the other two double-figure scorers for Highland with 12 and 10 points, respectively. Thiam tallied eight of hers in the first half and Brown eight of hers in the second half. While West was held below her normal game offensively, Red Mountain (3-2) relied on perimeter play for much of its scoring. Junior guard Samantha Shoemake helped the Lady Lions cut a 16-point lead late in the third period to eight briefly in the fourth. Shoemake led all scorers with 21 points -- 12 in the final quarter. Between Shoemake and fellow junior Jaquelyn Ries, Red Mountain sank seven threes in 16 attempts. Martin Appel's team hasn't been able to get in much of a rythym game-wise with only five games the 25 days of the season. The Lady Lions will pick up the pace with a pair of invitationals -- one next week in Nevada and one the final week of the month they host.